Hello Brown Spice Beauties! For those of you who follow us on Facebook, you know that we ran a contest this week asking ladies to send us a picture of just their lips wearing their prettiest pink lipstick and they may be chosen to appear in our Breast Cancer Awareness Month ad in honor of this month. Well, the winners have been chosen and the ad is complete. Thank you to all of the ladies that blew kisses our our way and Congratulations to all of the winners, you know who you are. 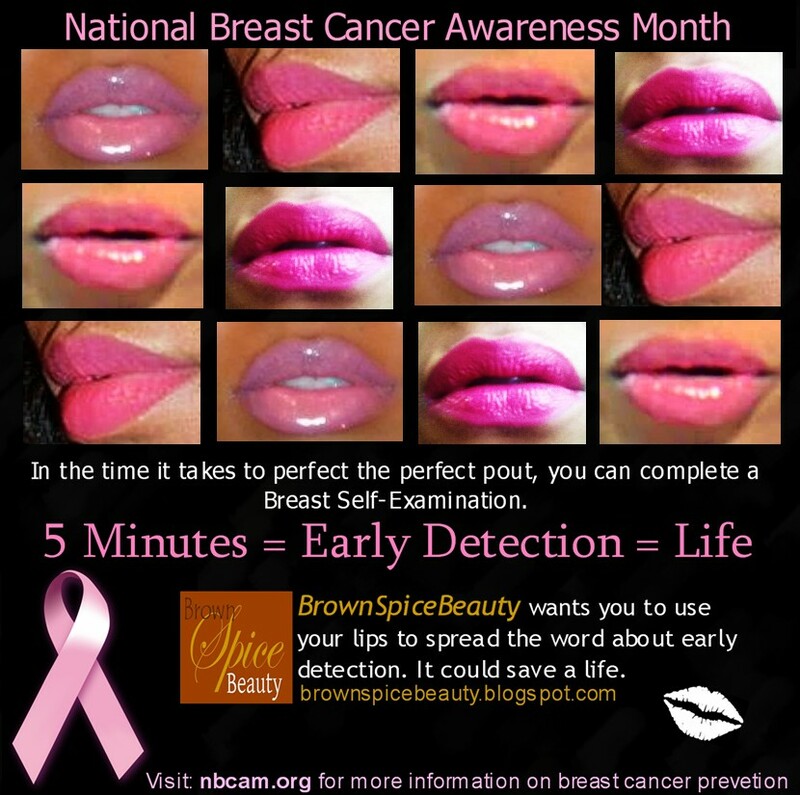 We even decided to send all of the winners a beauty prize pack for showing their support of BrownSpiceBeauty and Breast Cancer Awareness Month. It could be you next time. Make sure you sing up to follow our blog and follow us on Facebook and Twitter so you will not miss out on our next contest. Please feel free to share this ad on all of the wonderful social media sites to show your support. The entire BrownSpiceBeauty team will love you for it. Now go out and spread the word!